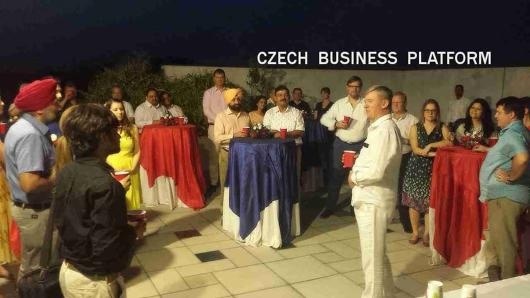 On Friday 25 May 2018 the Czech Ambassador to India, H. E. Milan Hovorka launched again a meeting of the Czech Business Platform in India, which brings together representatives of Czech companies operating in India. On this occasion, Ambassador expressed gratitude for the cooperation with all Czech companies and their Indian representatives. At the same time, he appreciated their contribution to the visibility of the Czech Republic in India and their contribution to the development of bilateral economic relations between Czechia and India. He also thanked the companies for their support to cultural and other social events organized by the Embassy. 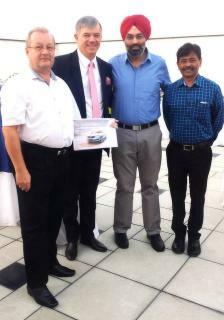 The Czech Business Platform in India was officially established on May 20, 2016. The driving force behind its foundation was the Embassy of the Czech Republic in Delhi, setting up the main goal of establishing an informal grouping of Czech companies, Czech business associations and Indian business representatives of Czech companies, to support the development of Czech-Indian economic relations. The platform started to serve as a meeting point for discussion and exchange of views, sharing information, knowledge, skills and experience, strengthening partnership between the public and private sectors, ensuring greater regularity in contacts with Czech institutions, creating links with Indian businesses. On the occasion of the third meeting of the Platform, the Czech Ambassador to India, H. E. Milan Hovorka said: "I am convinced that setting up the Platform was the right thing, and after two years of its operation we have proved that there is no need to create new formal institutions. We wanted to increase the visibility of the Czech Republic in India and help our companies to take on this challenging and, at the same time, very interesting market when the Indian economy is on the rise. Those who want to join the Platform are naturally welcome ". For further information, please contact us at: milan_tous@mzv.cz.